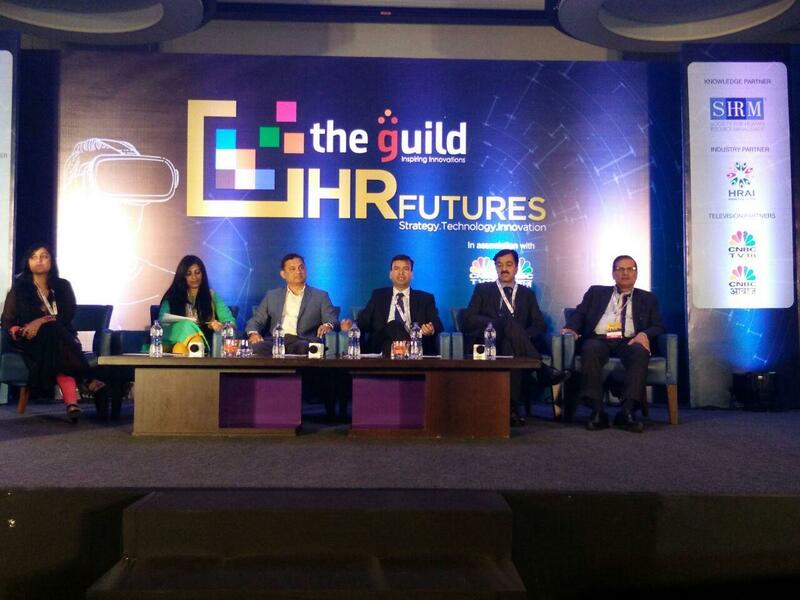 HR Futures- Pune was organized by The Guild, business media brand, in association with CNBC TV 18 and CNBC Awaaz, on Wednesday, November 8th, 2017 at Novotel Hotel, Pune. I attended this event to listen the views of esteemed HR professionals and learn something new from speakers. It was also a nice opportunity to network with fellow HR professionals from different industries. My motivation to write this article is to share my learning to the HR fraternity those who could not attend this event. 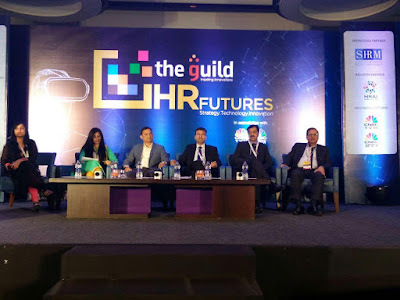 This write up is compilation of my learnings from the session HR future…. There were two sessions planned in the first half. This time, I find something practical which can be implemented by all HR professionals in their organization. I am writing my learnings from the panel session “EMERGING BUSINESSES: ENTERPRISE CHALLENGES WITH LIMITED RESOURCES”. There were six panelist having 15 to 25 years of rich experience. To understand the HR challenges facing emerging businesses, the HR leaders shared their experiences on what they are good at, what are their struggle, where they their focus is. Where emerging businesses believe their HR strengths and weakness lie. Where they need to focus to grow profitably. How they can get better at joining up the dots in order to recruit, develop and retain the right people. How they can deliver the basics more effectively. Technology & tools for HR at mid-sized companies. 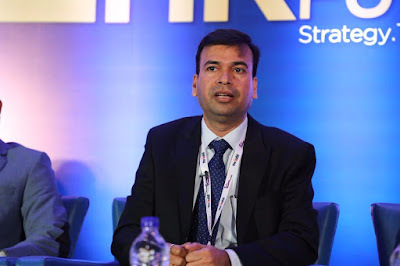 The entire hall with 200 – 250 HR professionals was silent for few seconds… Exactly I don't know from where that sound comes, but someone from audience raised his voice and said, “something which can be implemented in the organization”. Initially we were feeling that we may get only theoretical concepts which may be difficult to implement. I knew few speakers very closely, and was sure that audience will get practical wisdom. Moderator started very positively that for sure audience will be satisfied. Direction: What is the purpose of the business and how employees are aligned with the larger purpose of the organization? Culture: What should be the culture and how it should be built? Power: How the power is distributed among different stakeholders and employees. Communication: How the information is cascaded down the level and employees are kept engaged with the organizational goals? Ownership & Accountability: How the ownership and accountability is created among employees? He mentioned that HR practices can be woven around these five dimensions. He set the context by explaining the number of startups & emerging businesses and success ration based on the research published. There are successes but there are more failures because lack of vision and poor business model. Further are lot of HR challenges like attracting and retaining talent; compensation and employees looking for big brand and career development. According to him, if we give the power and freedom to employees, for sure they do takes accountability and works with ownership to sustain and achieve the organizational objectives. Right pay mix: For example, higher variable pay. It is difficult to retain talent in startup industry. Many of the employees are getting offers from competitor companies with higher package with facilities. Speaker advised to keep higher incentives in the initial phase of the business. It helps to increase business as well as retain employees with his own growth. To summarize this, Moderator said in addition to all above, the office/ organizational culture also matters to retain and engage employees. Employee engagement is nothing but, how do we give experience to employees to feel good and engaged in our organization. Clear communication by CEO – Top management should communicate company’s vision to all employees to make them aware on business situations & aligning on common targets. Management should work on improving Manager – Subordinate’s relationship. Reward and recognition - every quarter get nomination for team and individuals for best achievements, and reward them for good work. Work on improving employability of employee. Employee satisfaction/engagement survey – Every organizations conducts an employee satisfaction surveys. Some are doing this as a formality or else we could say as a mandate by top management. However, few organizations are really conducting this understand employees. According to me, attrition only could be controlled by HR of the company. We should have good relations, understand their concerns & his personal issues too. If we really can understand them and try our best to develop him, I am sure, he would not think of the leaving the organization. 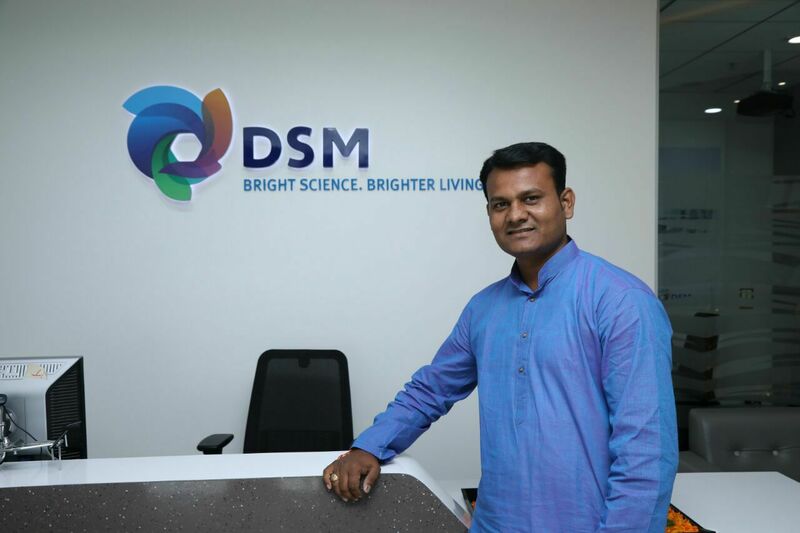 Sanjay Ambhorkar emphasized on culture building and giving the purpose of job. Revendra Misra spoke on leadership development and building the internal talent pool. At the end moderator said that everybody should do everything in the organization. People should be trained to lead by example and not by the power. He explained the concept of Leading without Title. With this concept not only Mangers/ Leaders but any employee can become a role model in his work. I feel the biggest challenge is to manage and retain multi-disciplinary and diverse workforce with more effective and efficient HR capabilities. To keep employees engaged, have discussions with them, understand and helps to resolve issues on priority. Ensure their employability is improved with the growth of the organization. Your exiting employees should get good treatment as they brand our company outside. Exit interview is reactive and whereas stay interview is proactive – this is a best tool to keep our employees engaged with us. If you do have discussion with them while in service, employees may share their issues with you regarding career, problems or any cultural issues which could lead him to leave organization. By stay interview, you can resolve such issues and I am sure, if we able to do so, employees will not leave. Invent your own practices with relevance to organizations requirement - It doesn't mean all above techniques are applicable to all industries. Every organization has different culture inside and we should understand the organization issues, culture, and inter relationship and frame interventions accordingly. I don't know who had asked the question as “He expect something which can be implemented” from this session. But, I am sure, my simple five key takeaways may help all of us in our organizations.